National Institutes of Health, shortly known as NIH, is the nation.s medical research agency.supporting scientific studies that turn discovery into health. As stated on NIH webpage, .NIH.s mission is to seek fundamental knowledge about the nature and behavior of living systems and the application of that knowledge to enhance health, lengthen life, and reduce the burdens of illness and disability.. The National Institutes of Health traces its roots to 1887, when a one-room laboratory was created within the Marine Hospital Service, to become nowadays the largest medical research agency employing more than 6,000 researchers and investing over $30.9 billion annually in medical research for the American people. More than 80% of the NIH's funding is awarded through almost 50,000 competitive grants to more than 300,000 researchers at more than 2,500 universities, medical schools, and other research institutions in every state and around the world. Among the institutions of NIH, the National Center of Biotechnology and Information (NCBI) and the National Library of Medicine (NLB), play a unique role within Biomedical Community by providing information on disease DNA variation, DNA and protein sequences and structures. In addition, NCBI is the largest source of web-based resources for analyzing data and carrying simulations, among which the absolute leader is the portal .Entrez.. It is almost impossible to imagine that biophysical community could function without the resources provided by NCBI. 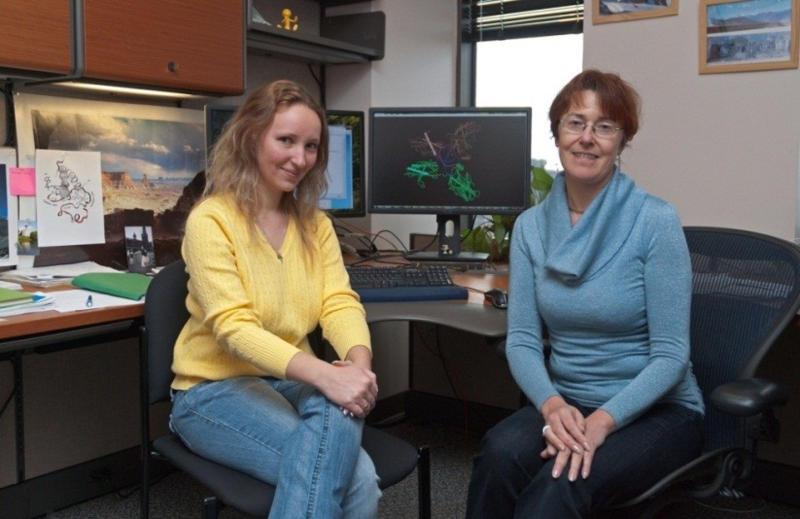 NCBI hosts many highly respected researchers; among them is Dr. Anna Panchenko, a Lead Scientist at the Computational Biology Branch of NCBI. Dr. Panchenko and her group developed and contributed several resources, methods and scientific discoveries. The short list includes the .IBIS. - Inferred Biomolecular Interaction Server, which reports interactions observed in structural complexes of a given protein; the .SPEER. - specificity prediction using amino acids' properties, entropy and evolution rate and several others. Her group works on problems of biomolecular recognition, mechanisms of evolution of protein interactions and the role of these interactions in cellular regulatory mechanisms. In particular the group applies the methods of computational biophysics and bioinformatics to explore protein binding principles and to predict binding interfaces, interaction partners and the effects of disease mutations. A PhD student from Computational biophysics and Bioinformatics lab at department of Physics and Astronomy at Clemson University, Mrs. Marharyta Petukh, had the unique opportunity to work at Dr. Panchenko lab as interim for three months. To the best of our knowledge, this is the first time Clemson PhD student takes internship at NIH. During her stay at the lab of Dr. Panchenko, Mrs. Petukh received training in Bioinformatics and Molecular Dynamics simulations. Her ultimate goal is to develop method, algorithm and computer package to predict the effect of amino acid mutations on the binding free energy of macromolecular complexes. Preliminary results are very encouraging and quite soon her development will be available for Biomedical community. Being an interim at NIH is not only about receiving training, but to be exposed to numerous seminars and talks given by top scientists in biomedical society. Listening to a talk devoted to a cutting-edge problem inspires thinking and motivates as well. It makes you begin asking yourself questions that you have never thought before. At the end, it makes you better researcher and in case of Mrs. Petukh, better PhD student. Currently Mrs. Petukh is progressing very well toward obtaining PhD degree and with this internship, she is a step closer to become successful independent researcher.